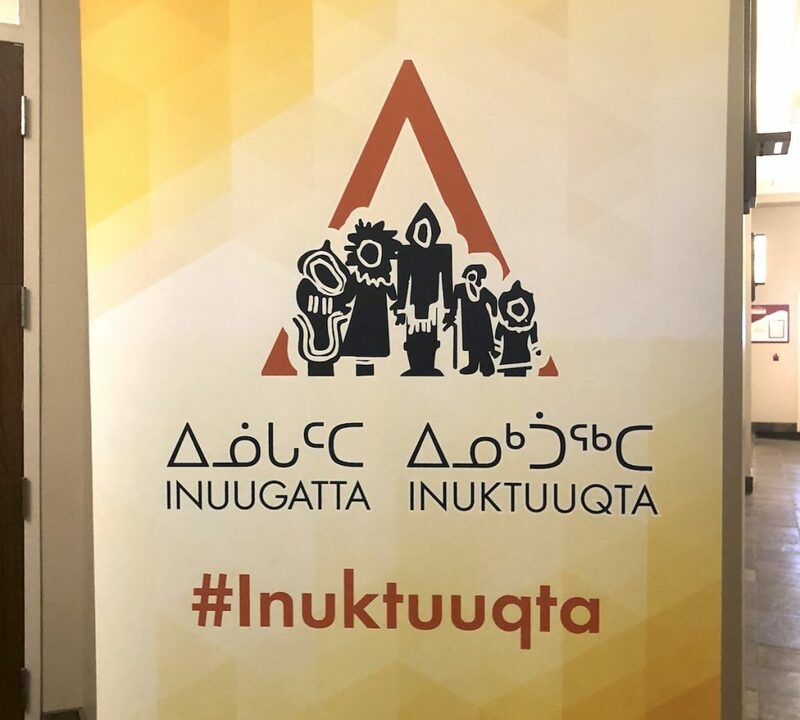 Today, in Iqaluit, Nunavut’s culture and heritage minister, David Joanasie, also the minister of languages, will open a three-day gathering on Inuktut: the Inuugatta Inuktuuqta conference. Its key themes are focused on the Inuit language, including language leadership, learning, resources, planning, revitalization, attitudes and goals. The conference is organized by Nunavut’s Department of Culture and Heritage, Nunavut Tunngavik Inc., the territorial language authority and the Office of the Languages Commissioner. It’s the second such gathering — the first one was held in Februrary 2015. “We are now into the 10th year of passing and implementing our language legislation,” David Joanasie, Nunavut’s languages minister, said March 11 in the Nunavut legislature about the conference. “A decade ago we made the decision to elevate the status of Inuktut in law, while being respectful and inclusive to all official language communities in our territory. The Inuugatta Inuktuuqta conference also coincides with the International Year of Indigenous Languages, promoted by UNESCO, the United Nations Educational, Scientific, and Cultural Organization. The conference will provide “an opportunity to review recent best practices that support the protection, revitalization and promotion of our language,” said Joanasie, who is scheduled to open the conference today at 11:45 a.m.
Monday’s schedule for the conference, which takes place in the Frobisher Inn, also includes sessions on language keepers, with elder Alacie Joamie, Papatsie Kublu-Hill and Michael Conor Cook from Inuit Tapiriit Kanatami, Jean-Francois Lesage of Statistics Canada, and Puujjut Kusugak, the deputy minister of Culture and Heritage at the Government of Nunavut. A second session on language leadership, also on Monday afternoon, features elder Simon Nattaq, Julia Ogina of the Kitikmeot Inuit Association, Maori expert Katrina Edmunds and Louise Flaherty, the GN’s deputy minister of Education. 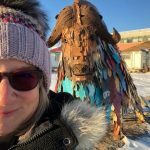 On Monday evening, Monica Ell-Kanayuk, the chair of the Inuit Circumpolar Council, offers the keynote address, with other keynote speakers during the conference. They include Attima Hadlari, vice-president of the Kitikmeot Inuit Association; PJ Akeeagok, president of the Qikiqtani Inuit Association; Aluki Kotierk, president of NTI; Helen Malliki of the Kivalliq Inuit Association; and Nunavut Commissioner Nellie Kusugak. On Wednesday, Louis Tapardjuk, chair of the territorial language authority, Inuit Uqausinginnik Taiguusiliuqtiit, will announce this year’s recipients of language achievement awards. A gala on Thursday will feature entertainment provided by Alianait. Also, on Thursday, members of the public are invited to a workshop on language planning, to see films and to tour various showcases from exhibitors at the conference. For more information on the conference you can go to its website and follow our coverage on Nunatsiaq News and our Twitter feed at @Nunatsiaq News. What about the actual educators teaching the language to students? Was there any teachers included?